Seven things you need to know about Kosovo’s political standoff. A series of now-familiar images from Kosovo’s Assembly have been beamed around the country, the region and the world in recent weeks. Eggs, whistles and tear gas are just some of the unusual forms of protest that have been used by opposition deputies as part of successful attempts to block the Assembly’s work. 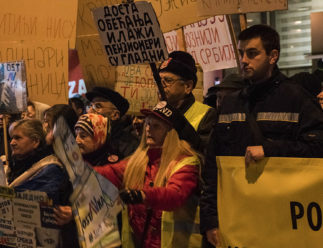 The protests are all related to two international deals signed by Kosovo in August with Serbia and with Montenegro, which detractors argue are against the interests of Kosovo and its citizens. 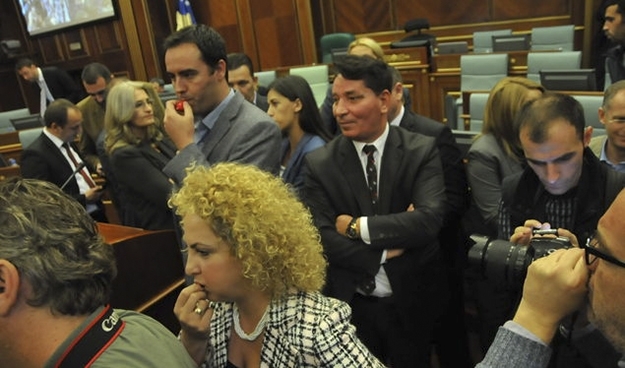 On September 22 as Prime Minister Isa Mustafa came to introduce the agreement with Serbia to the Assembly, instead of receiving the diligent attention of all deputies, Mustafa was welcomed with eggs by some members of the opposition, causing the session to be abandoned. The following week, on October 1, opposition deputies chose to physically block the Assembly session by standing at the speaker’s podium and refusing to be moved. Kosovo’s Prime Minister, Isa Mustafa, has recently signed two controversial international agreements. The situation escalated further one week later as opposition lawmakers first replaced their eggs with whistles, and then released two tear gas canisters, leading to the chamber being evacuated and a number of reported minor medical complaints by deputies. Despite the introduction of additional security measures, including scanners, for last week’s session that was due to be held on October 15, tear gas was once again used within the Assembly, meaning that the session never even got underway. The discontent has not only been confined to the Assembly building. A series of eggings by activists have targeted government officials, including the Minister of Labour and Social Welfare, Arban Abrashi and Deputy Minister of Foreign Affairs, Petrit Selimi, while Mustafa has twice been left scraping yolk from his suit. 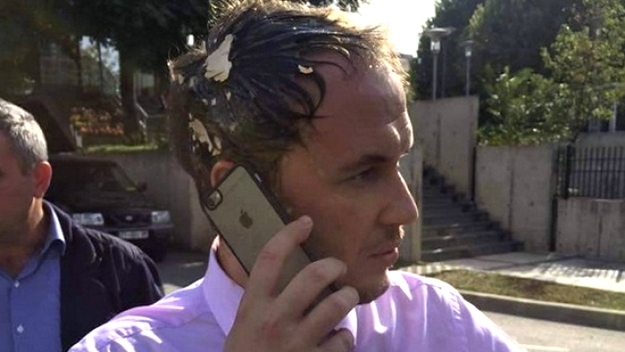 Deputy Minister of Foreign Affairs, Petrit Selimi, is one of a number of government officials who have had eggs thrown at them. The most serious escalation of the situation to date occurred on October 12 following the arrest of the prominent opposition deputy Albin Kurti, as part of inquiries into the first tear gas incident in the Assembly. Hundreds of activists from Kurti’s Vetevendosje party gathered in front of the police station where he was being held, protesting that the detention was politically motivated and that no arrest warrant had been produced by Kosovo Police. 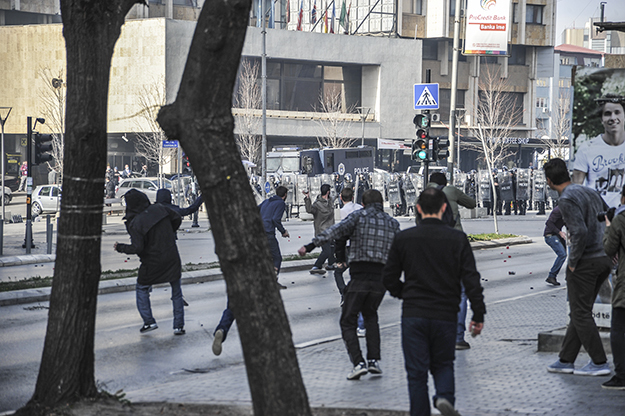 During a number of tense hours, windows were smashed at Prishtina’s police station and at the headquarters of coalition party Democratic Party of Kosovo (PDK), and government cars were set alight, while police used tear gas in an attempt to disperse the crowds. Kurti was released the same night, attributing his freeing to the pressure of the protesters. The events surrounding Kurti’s arrest have only served to deepen political tensions in Kosovo, with all parties resorting to ever more divisive rhetoric. As the standoff continues to rumble on, we break it down by looking at seven essential questions. The current standoff is primarily related to two international agreements, both signed in the same week by Kosovo in August this year. 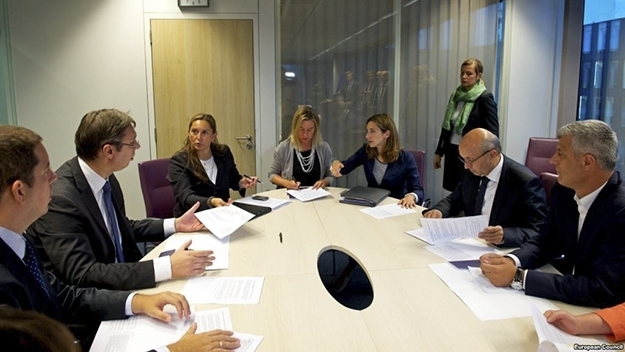 On 25 August, under EU mediation, Kosovo and Serbia signed an agreement in Brussels with sections covering four main fields: energy, telecommunications, freedom of movement in the largely ethnically divided northern city of Mitrovica, and the creation of an ‘Association of Serb Majority Municipalities’ (or ‘Zajednica’). It is the latter section that has caused the most outspoken opposition as the agreement appears to offer the Association broad powers relating to the economy, education, health, infrastructure, the police, and customs, while introducing a president, an assembly and a flag. After more than two years of EU mediated negotiations in Brussels, a controversial agreement between Kosovo and Serbia was signed in August. The establishment of an Association was first agreed in principle back in April 2013 as part of the first Brussels agreement, part of a bilateral dialogue process brokered by the EU in an attempt to normalize relations between Kosovo and Serbia. However despite plenty of speculation in the interim, no further details were revealed until the second deal was struck in August. The second point of contention is an agreement of border demarcationbetween Kosovo and Montenegro that was signed on August 26 in Vienna. The signing of the agreement followed a heated debate in Kosovo Assembly’s Foreign Affairs Commision, where fiery discontent for the new border lines was expressed by some deputies who claim that Kosovo has lost territory as a result of the deal. 2. Who Opposes the Deals and What Do They Want? The most vocal opposition to the deals is coming from the opposition parties in Kosovo’s Assembly, where an informal opposition alliance has been forged between Vetevendosje, Alliance for the Future of Kosovo (AAK) and The Initiative for Kosovo (NISMA). 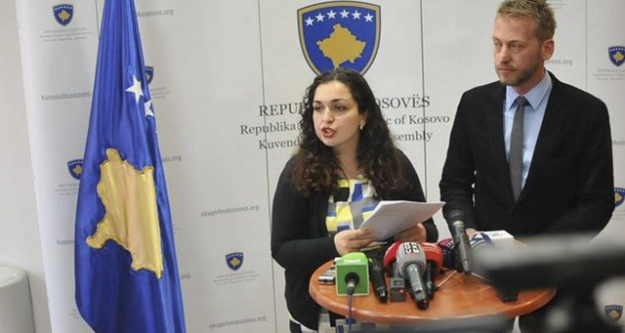 Vetevendosje has consistently spoken out against the dialogue between Kosovo and Serbia in Brussels without pre-conditions such as Serbia recognizing Kosovo, the payment by Serbia of war reparations and an apology for war crimes. It was therefore no surprise that they led opposition to August’s agreement in Brussels, which began while dialogue was still ongoing. The primary opposition to the border demarcation deal has come from AAK, whose traditional political stronghold near Kosovo’s border with Montenegro is particularly affected. AAK leader Ramush Haradinaj has been particularly vocal on this issue as he comes from the area that is being debated. 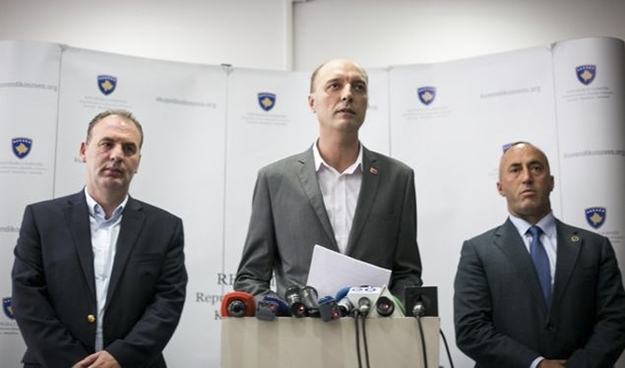 Fatmir Limaj (NISMA), Visar Ymeri (Vetevendsoje) and Ramush Haradinaj (AAK) have combined their parties’ forces into an opposition block. In many ways the opposition block is therefore a marriage of convenience, which can also be seen in the tactics now being used. While Vetevendosje have always been in opposition and are no strangers to protest and activism, the involvement of AAK in such alternative means of opposition politics is a more surprising development. Not only is Haradinaj a former prime minister of Kosovo, but his party supported the 2013 Brussels deal in principle and until February this year had a representative as part of the negotiations. Similarly, until last year NISMA leader, Fatmir Limaj, was one of the key figures in current coalition party PDK, including when the initial Brussels Agreement was signed. Having decided that their voice is stronger when combined, the opposition block has called on the government to withdraw Kosovo’s signature from both of the agreements. They argue that the agreement on the ‘Association of Serb Majority Municipalities’ fundamentally undermines Kosovo’s sovereignty as it will create a body with ‘executive powers’ in fields including education, health, the economy, and security. According to Vetevendosje’s General Secretary Dardan Molliqaj, the Association would represent a ‘Bosnification’ of Kosovo (a reference to Bosnia’s complex, multi-layered tiers of government) and would make the state less functional. Mustafa has denied that this is the case, releasing a statement shortly after the agreement was signed, saying that the Association would not possess executive powers and that the whole agreement complies with Kosovo’s constitution. The government insists that the agreement is in Kosovo’s best interest as it enjoys broad support from the international community and therefore enables both Kosovo and Serbia to advance on their European integration paths. Opposition to the border demarcation agreement between Kosovo and Montenegro is in many ways more straightforward — it is essentially about territory. According to Haradinaj (and subsequently the opposition since the block has been formed), thousands of hectares of Kosovo’s land have been given to Montenegro with the border agreement. He has accused Mustafa of dividing Kosovo and giving its territory to Montenegro and pledged to block the implementation of the agreement. Haradinaj is calling for a review of the agreement, and ultimately for the border to be re-drawn. The government claims that the border that has been agreed with Montenegro has been drawn according to the 1974 constitution of Yugoslavia and that Kosovo has lost nothing as a result. Once again, this deal has been hailed by many in the international community for bolstering neighborly relations with Montenegro. 3. Why Is This Standoff Happening Now? The high profile opposition tactics in the Assembly started when Mustafa tried to introduce the agreement with Serbia to deputies last month. The opposition argue that this is purely for show; that the government is not presenting anything new that is not already in the public domain, or even instigating a vote on what is already a ‘done deal.’ According to the opposition, it is already known exactly what the coalition government is going to say, and therefore introducing the agreement to the Assembly is a completely futile move. 4. Why Do the Opposition Not Use More Conventional Means? The opposition block is in a difficult position. With the two largest parties in the Assembly — Democratic League of Kosovo (LDK) and PDK — forming the current coalition government (alongside Serb List and other minority parties), the opposition are hopelessly outnumbered; more than two thirds of the 120 deputies belong to the government. 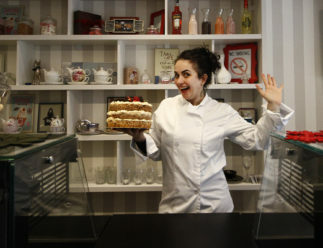 Even should the agreements be voted on in the Assembly — an option that is not currently on the table — the result would virtually be a foregone conclusion. Opposition deputies have used a range of unusual disruption tactics to block the work of Kosovo’s Assembly, including blowing whistles during speeches. Given their long-held positions and strength of feeling on the issues, the opposition feels that it needs to do something more than simply stand up and discuss the agreements in the conventional format. By blocking the work of the Assembly, it insists that it is taking legitimate steps to prevent Kosovo from continuing with agreements that it argues are harmful to the state. Although not explicitly articulated in such a way by the opposition, it could also be wary of looking weak by engaging in what it considers to be a meaningless debate; by holding a ‘normal’ debate, it may also be wary of being seen to give legitimacy to the deals, which the government could then claim had passed through due democratic processes. The unconventional opposition actions have unsurprisingly been met with strong criticism by government officials. Deputy Minister of Local Government Administration, Bajram Gecaj, who was one of those attacked with eggs, said that it is not unreasonable to label Vetevendosje activists as “Red Brigades,” referring to the radical Marxist/Leninist paramilitary organization from Italy in the 1970s and 1980s. However Vetevendosje Vice President, Driton Caushi, told Kosovo 2.0 that the opposition’s actions are coherent with European practices. “These are not methods that we have coined in Kosovo, these are Western methods and often these methods are labelled violent in Kosovo but it is a big mistake to be labelled like that,” he said. Throwing eggs at politicians is certainly nothing new; Great Britain is most famous for this practice with Prime Minister David Cameron, former Labour Party leader Ed Miliband and United Kingdom Independence Party leader Nigel Farage all having literally ended up with egg on their faces in recent years as a result of action by activists. However, the pelting of politicians within the parliament, and by their elected peers (as was the case with Isa Mustafa), seems to be a new standard introduced in Kosovo. 5. What About Public Opinion? What Do Kosovars Want? Nobody really knows. Although the deals and the actions of the opposition have received much media discussion and attention, a wider debate amongst ordinary citizens has remained largely absent. 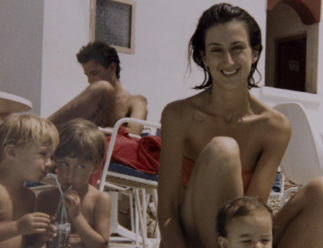 There are a number of clues that may be telling. Firstly, an unscientific look at views being expressed by ‘armchair activists’ on Facebook suggests that there are many citizens who are becoming ambivalent towards politics more broadly; while they might not necessarily support the government, they don’t agree with the disruption tactics being employed by the opposition either. A more quantifiable clue comes in the form of an opposition-organized petition against the agreements with Serbia and with Montenegro, which is reported to have gathered more than 200,000 signatures from people in Kosovo’s main cities. However no mass protest has yet been definitively called by the opposition, suggesting that it may not be confident that large numbers would turn out. 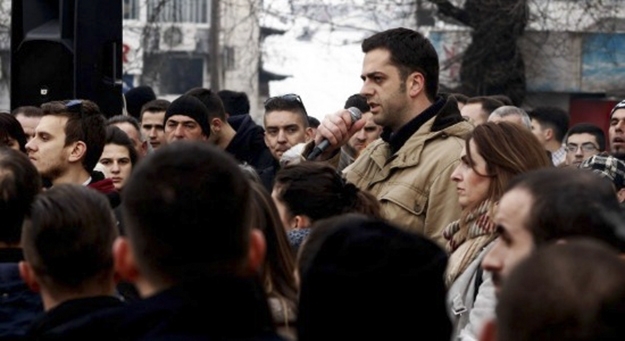 Vetevendosje Vice President, Driton Caushi, has warned that there will be protests if the government refuses to withdraw Kosovo’s signatures from the recent international agreements. Vetevendosje’s Caushi denies that the lack of protest to date is because the opposition is nervous about receiving mass backing. He argues that the absence of public protest to date is because it has not been necessary; the opposition has had other means. If the government “continues to be stubborn,” he suggests that protests will follow in due course. Within the media and civil society, there has been no shortage of discussion on the deals, particularly on the deal with Serbia. When this agreement was first announced back in August, there were those who spoke in favor of it. Koha Ditore columnist Halil Matoshi claimed that the ‘Association of Serb Majority Municipalities’ would have individual autonomy, mainly based in cultural autonomy, but not at all in territorial/political autonomy, and therefore should be supported. In general though, there were far more voices speaking out against it. 6. What Is the International Community Saying? Whatever happens in Kosovo politics, the voices of members of the international community are inescapable. There are many who say that when the international community says, “Jump,” the politicians ask, “How high?” The recent re-run of the Assembly vote on establishing a special court (to prosecute serious crimes allegedly committed by members of the Kosovo Liberation Army during and after the war with Serbia) is often raised as a case in point: The court’s establishment was initially rejected by the Assembly, but passed at a hastily arranged second vote after heavy international pressure. In comparison with the unclear and ambivalent public opinion within Kosovo, the international community has voiced unambiguous support for the agreements signed with Serbia and with Montenegro, and has condemned the means being used by the opposition to block the Assembly’s work. A joint statement by the EU Office in Kosovo, the EU Special Representative and the Embassies/Offices of EU Member States in Kosovo after the first tear gas incident in the Assembly delivered a strong rebuke to the opposition. It described the “violent actions” of the opposition as “deplorable,” “reckless” and “unacceptable,” and appealed for the “basic principles of democracy” to be respected. 7. What’s Going to Happen Next? We still don’t know. In a joint statement released after the latest disruption in the Assembly, the opposition vowed to continue with its actions until the government withdrew from the two international deals, saying that only then will they bring back institutional and social normalization in Kosovo. Two alternatives that the opposition have brought to the table are holding a referendum on the agreements and a call for early elections. Koha Ditore columnist Abdixhiku suggests that these approaches could offer a viable way forward to break the current political deadlock. “Let the citizens decide the fate of this country conclusively,” he said. However neither potential solution is straightforward. 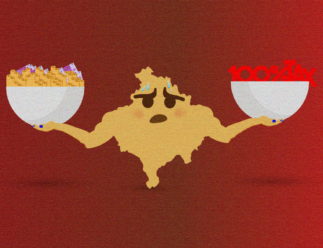 The ethics and legality of calling a referendum on issues that affect minorities are questionable, while the government is unlikely to risk losing any vote that could lead to Kosovo’s potential withdrawal from agreements that are heavily backed by the international community. The prospect of mass protests is also a potential reality, with the opposition having repeatedly hinted about this course of action. Last Friday (October 16), AAK’s leadership called for a mobilization of its activists and all citizens for an “ultimate’ protest” against the government, however no further details have been released. Such measures have proved partially effective in the past: In February mass protests on the streets of Prishtina led to the sacking of Serb List’s Deputy Prime Minister, Aleksandar Jablanovic, for controversial comments that he had made about Albanians who blockaded Serb pilgrims at Orthodox Christmas. However, it is still unclear whether the same strength of feeling exists among citizens about the current political issues, and the international dimension is once again likely to make any government U-turn more improbable. In the meantime, the President of Kosovo, Atifete Jahjaga, has intervened to try to bring an end to the standoff. Jahjaga met separately with the leaders of the coalition government and the three opposition leaders earlier this week but it appears that little headway has been made so far as the respective stances are so diametrically opposed; both parties have expressed that they are not prepared to compromise. With the standoff continuing and no end in sight, another session of the Assembly has been called for tomorrow (Friday, October 23) at 16:00. The opposition has called the move a “provocation” and has said that it will continue to obstruct the Assembly’s work. It seems that everybody wants a solution to the current crisis to be found — what that solution may be, remains to be seen. A “manifestation” has been called by the opposition against the deals with Serbia and with Montenegro, and against the government in general, for tomorrow (Saturday, Nov. 28) in Prishtina. The timing of the rally is no coincidence; it has deliberately been arranged to tie in with Albania’s Independence Day in the hope of garnering greater support for opposition to agreements that the opposition argues are against the national interest. While the opposition has repeatedly stated that the “manifestation” will be a peaceful one, government officials have stepped up their criticism of the event in recent days, accusing the opposition of having violent intentions. A peaceful “manifestation” has been called in Prishtina by the opposition. 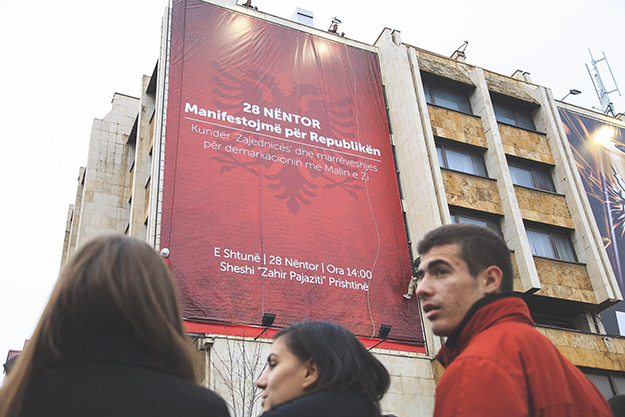 It is due to take place on Saturday (Nov. 28), which is also Albania’s Independence Day. The rally looks set to go ahead tomorrow despite measures taken in the past few weeks in an attempt to de-escalate the current political crisis. On October 28, President Jahjaga announced that she had sent the issue of the Association of Serb Majority Municipalities to the Constitutional Court for a ruling on its constitutionality. The Court subsequently took “interim measures” on Nov. 10 to freeze implementation of the Association until January 12, 2016, while it carries out a full assessment. 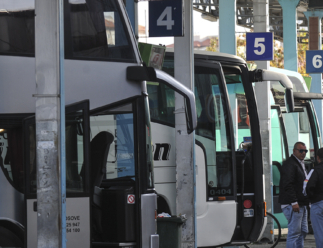 However the opposition quickly announced that it would continue with its protests until the agreement was completely revoked. Another attempt to break the deadlock was put forward in a non-partisan proposal from two serial party rebels last Friday (Nov. 20). 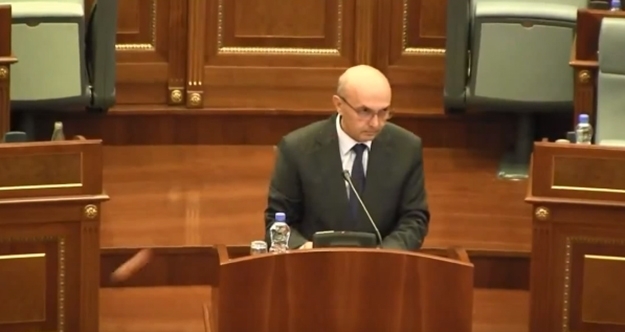 LDK’s Vjosa Osmani and Vetevendosje’s Ilir Deda presented a plan to end the current political standoff, while allowing both the government and the opposition to save face. Firstly, the proposal included the establishment of an investigative commission made up of Assembly deputies with the remit of assessing the border demarcation agreement with Montenegro. The commission would be led by the opposition, with cross-party representation and would include at least five non-voting experts and members of civil society. At the end of its 30-day mandate, a consensus should be reached by all voting members. 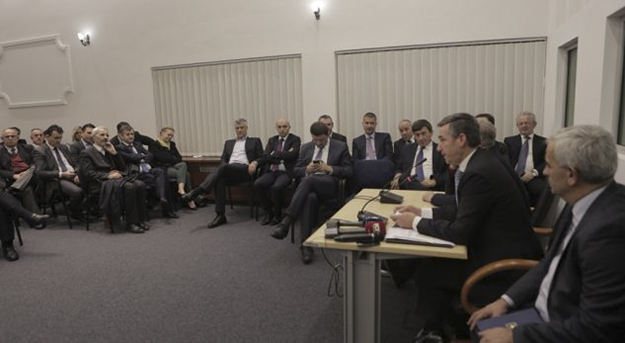 Last week, LDK’s Vjosa Osmani and Vetevendosje’s Ilir Deda presented a plan to end the current political standoff, but it has largely been ignored by Kosovo’s main political parties. Secondly, the proposal sets out that the Assembly should select two Constitutional Court judges, with cross-party consensus, to rule on the constitutionality of the Association. If the Constitutional Court subsequently fails to reach a decision, the issue would be sent to the Council of Europe’s Venice Commission for clarification and recommendations. Finally the document says that it should be brokered by the President, and signed by the leaders of the five main political parties, before being voted on as a resolution by the Assembly within seven days. The proposal has largely been met with official silence, while government and opposition parties have weighed up their positions. However AAK’s Haradinaj yesterday (Nov. 26) suggested that the terms of the proposal were insufficient for the opposition, who still insist upon the complete annulment of both international agreements before they halt their disruption actions. The past month has seen no let-up in informal opposition protest, either in the Assembly, or on the streets. The Assembly session due to be held on October 23 descended into farce as, over the course of 10 hours, multiple attempts to hold the session were disrupted by tear gas, despite dozens of security forces having been brought into the chamber in an attempt to ensure the session’s smooth running. The government eventually held a 10 minute behind-closed-doors session in the Assembly’s canteen without opposition deputies, which came to an end at 1.45. Outside the Assembly, riot police had used water cannon to disperse restless opposition activists who had thrown molotov cocktails. On two occasions in the past few weeks, the government has held Assembly sessions outside of the main chamber, and with no opposition members present. The only other attempt to hold a regular Assembly session in the past month ended with similar results. Last Tuesday (Nov. 17), the opposition once again deployed tear gas, and Albin Kurti sprayed pepper spray towards Prime Minister Isa Mustafa, causing an abandonment of the chamber. Invoking the spirit of the late night canteen session, the government re-convened in a separate room, passing the budget for 2016, while opposition deputies were blocked from entering the room by security forces. Outside, tear gas was also deployed to disperse opposition activists who had gathered in protest. There have been scenes of unrest on Prishtina’s streets in recent weeks, as opposition activists and police have clashed. Following the disruption, arrest warrants were issued for four opposition deputies, including Kurti, which the police attempted to implement the next morning. AAK deputy Donika Kadaj Bujupi was arrested, but the other three could not be found. Protests at Kadaj Bujupi’s arrest were led by opposition deputies, who gathered with activists outside the Assembly to demand her release. Violent clashes between protesters and police once again followed, shortly after Kurti arrived on the scene to give a speech, with stones being thrown through the government building’s windows and police responding with tear gas. 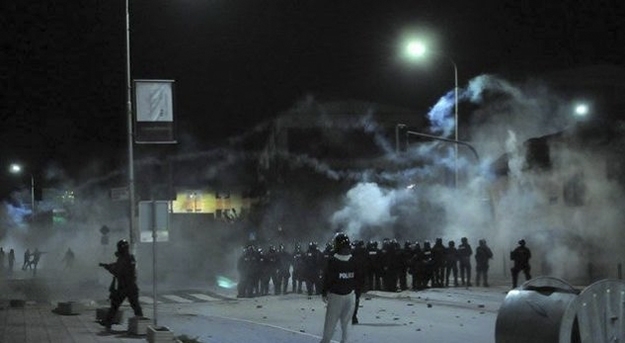 Further clashes followed in the evening, when it was announced that Kadaj Bujupi had been sentenced to 30 days pre-trial detention.